Tomorrow we fly out, coincidentally on the same flight as Joan and Peter who not coincidentally are staying in “our” hotel. There is a restaurant in Paris according to Peter, where the staff are fair dinkum Opera singers and the food is worth eating and we should he has been saying, make a point of going there on our last night in France. So we did. 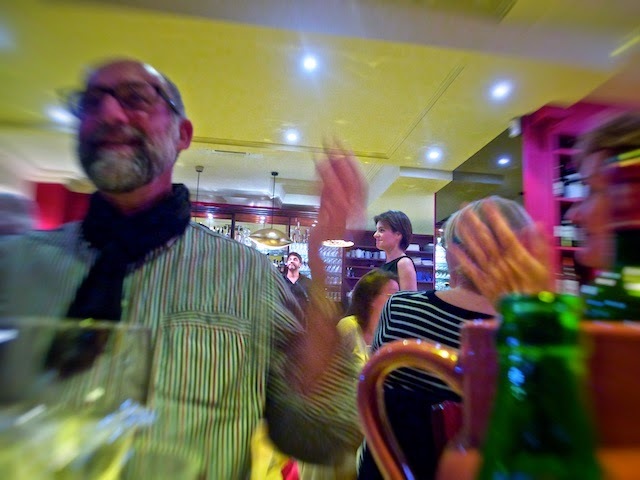 We fiddled around in Paris all day, which is not a difficult thing to do, and met Joan and Peter and the appointed hour at Bel Canto, where as promised the food was indeed worth eating, and the music incredible. We were the first to arrive and if not the last to leave, the last who did not have a key to the premises. When we arrived back at our hotel thankfully close to the airport, it was the day we were supposed to be leaving.